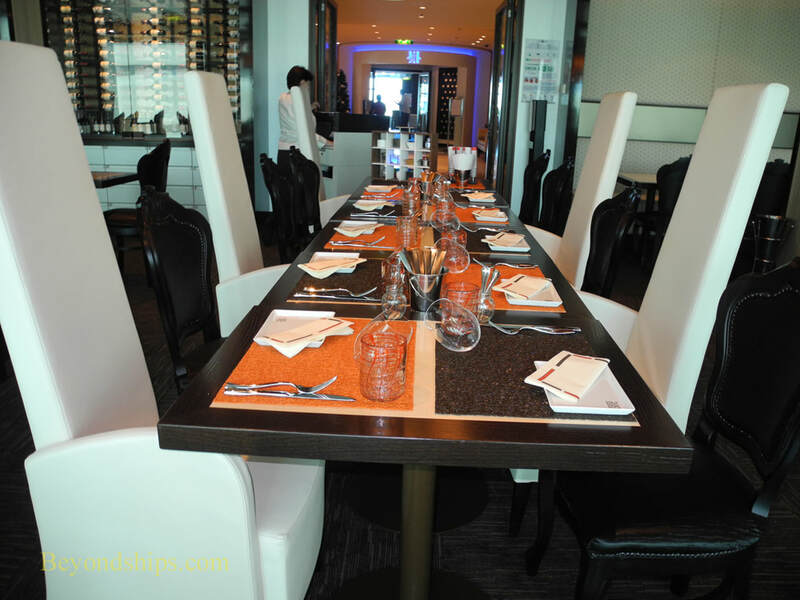 Reflection has four more formal specialty restaurants. These are open to all but additional charges apply. 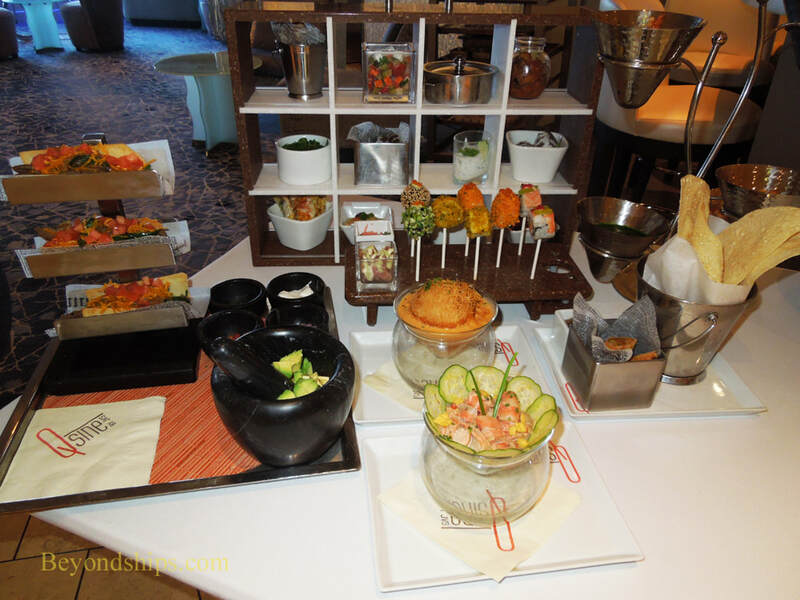 inspired and includes several dishes that are prepared net to the table. 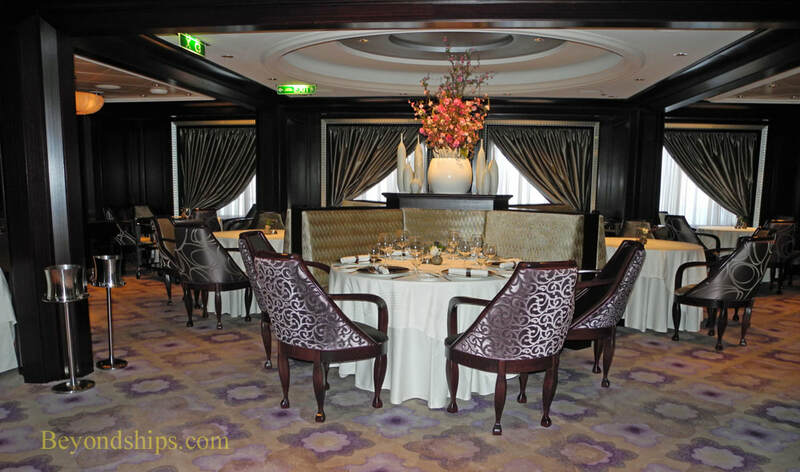 As an option, Murano also offers a seven-course wine pairing menu. It is sophisticated gourmet dining. 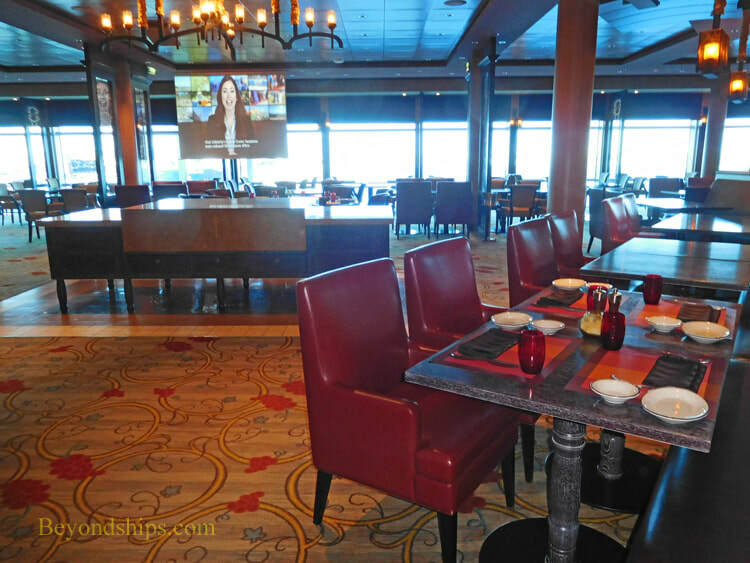 The Tuscan Grille combines the popular steakhouse concept with equally popular elements of Italian cuisine. 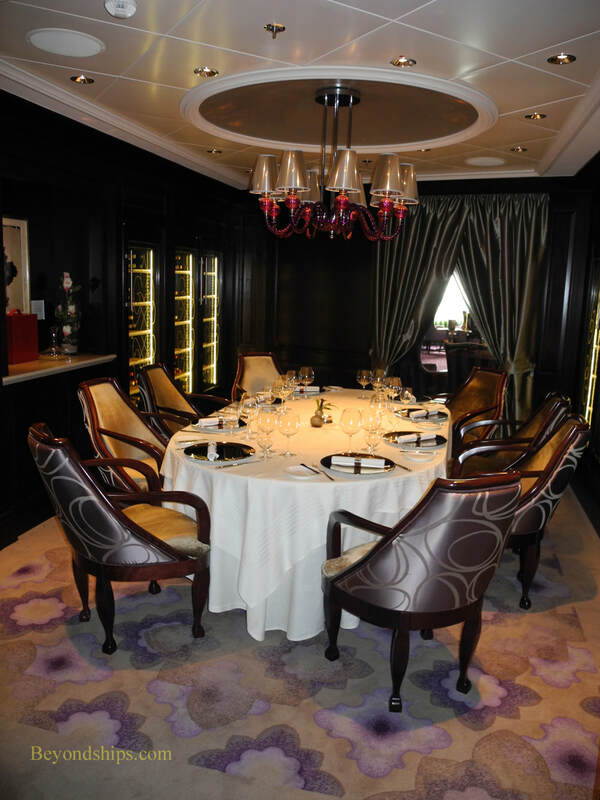 The room is less formal than Murano but situated at the back of the ship, it offers scenic views over the ship's wake. 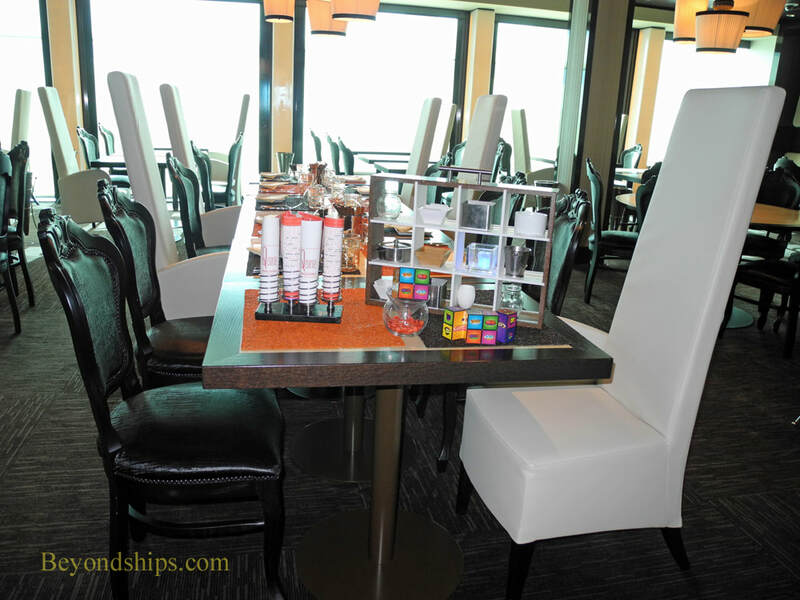 Tuscan is also open to certain levels of the Captain's Club program for continental breakfast. 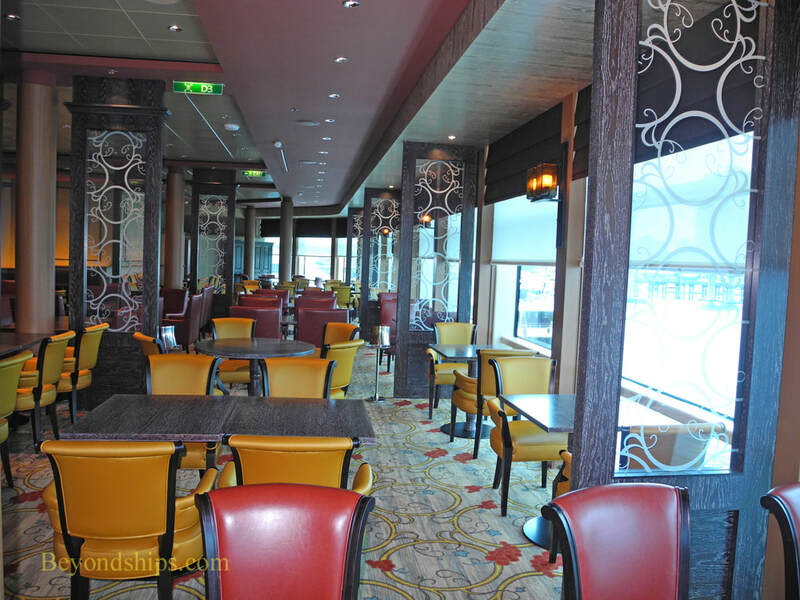 Although Qsine has been around since 2010 when it premiered on Celebrity Eclipse, it remains unlike any restaurant you will find on any other cruise line. It is entirely non-traditional. At Qsine, guided by your server, you order a series of items, all unusual in their conception such as sushi lollipops and Kobe beef sliders. None of the items is very big but by the end of the meal, you know that you have eaten heartily. 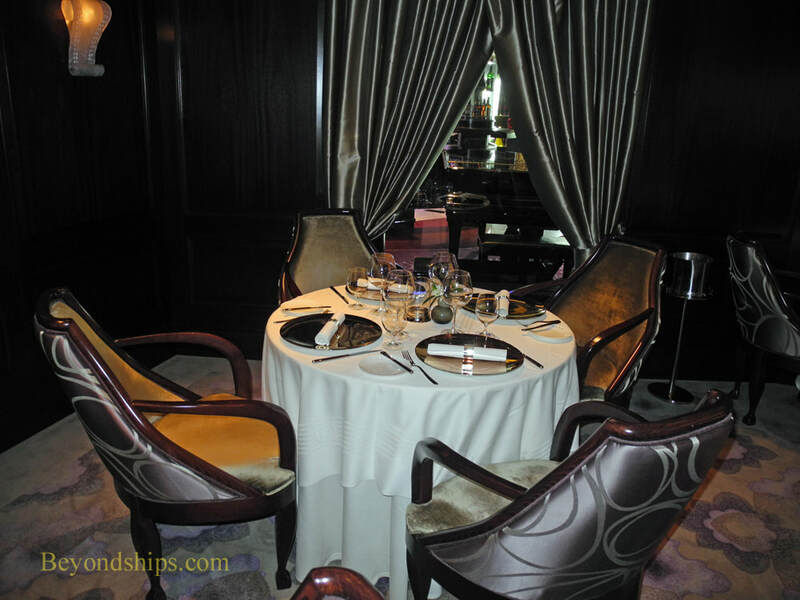 The decor of the room is similarly avant garde with unmatched chairs surrounding each table. Also unusual is the digital menu on an Apple iPad. 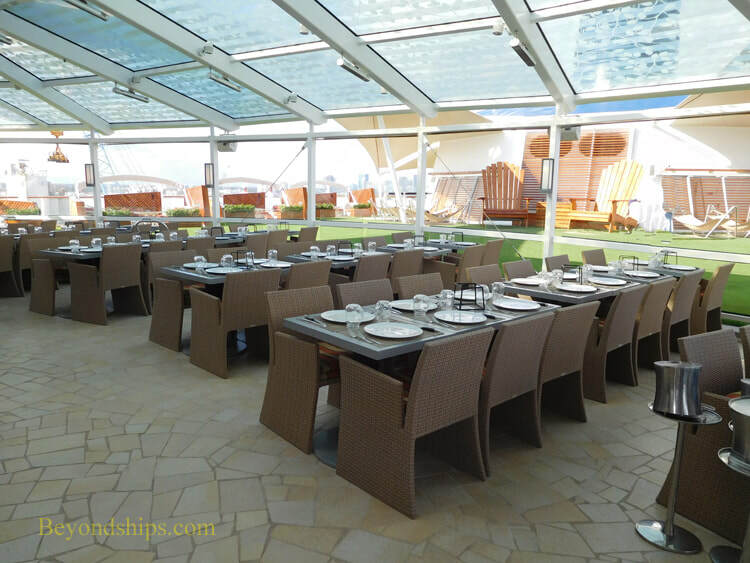 The Lawn Club Grill opens out onto the ship's grass lawn, it has a summertime atmosphere. 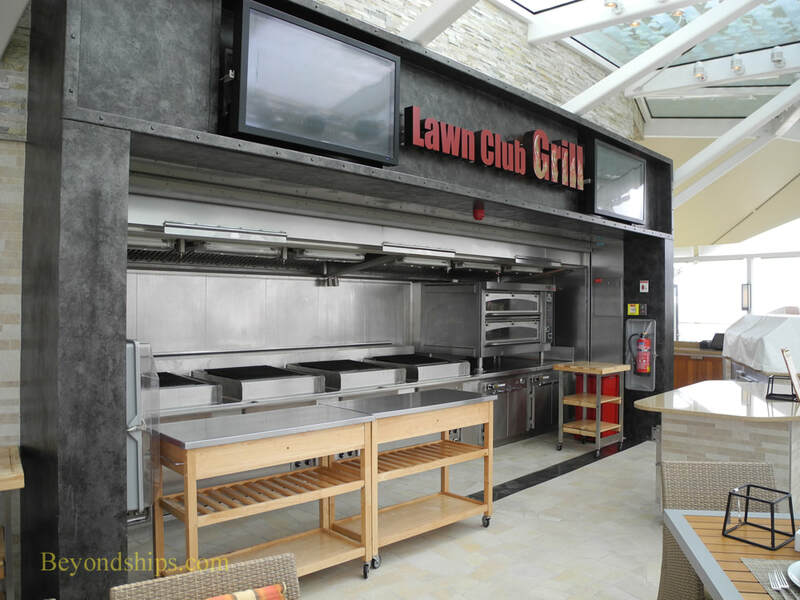 Guests can get into barbecue mode by grilling their own steaks and making their own pizza. However, it is just as appropriate to have the restaurant's chefs prepare the meal. 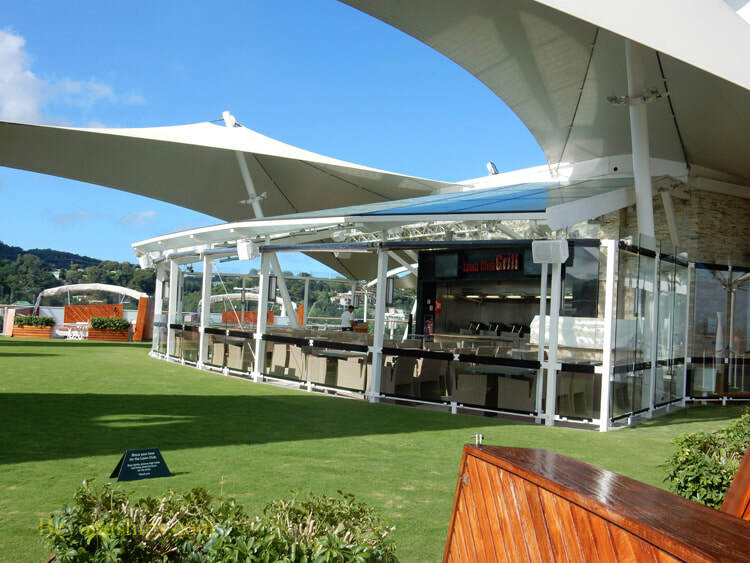 The Lawn Club also offers a lunch with premium burgers on sea days.